The Kred Story app lets you show off your most influential social media activity as a visual stream on your about.me page. Knowing who you influence most can help you target the information you share and track changes. 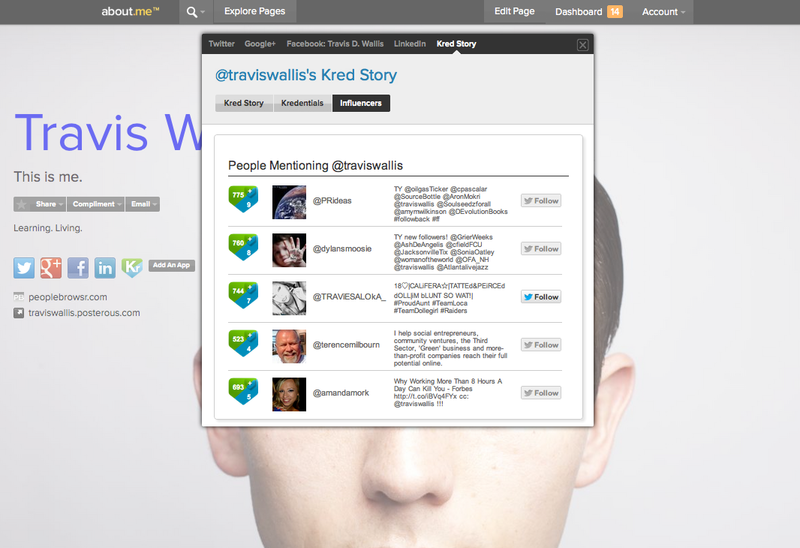 Your Kredentials are a one-click summary of your social media presence, including your most used words, hashtags and links, so people can instantly see what they have in common with you. Unique to this app, Kred shows the people who have mentioned you lately on Twitter, ranked by Kred Influence, and allows you or anyone follow them within the app. See your full influence story and zoom in on meaningful moments. Explore the posts, pictures and links that make you influential. 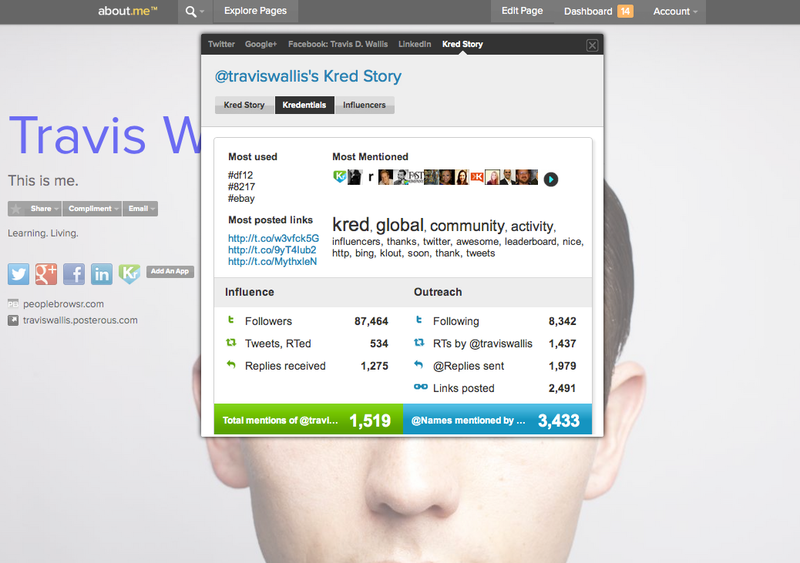 Display your influence and add Kred Story today!